It is unlikely that film history has any parallel to Cinema 16. Begun in 1947 Manhattan by film enthusiast Amos Vogel and his wife Marcia, the film society (named after the artistic and social potential signified by the ready availability of 16mm film) rapidly became the standard bearer for all films that – in its famous tagline – "cannot be seen elsewhere." Yet despite its dedication to noncommercial cinema, at its height in the mid-1950s Cinema 16 was the largest film society ever in existence. Perhaps no other entity has so impacted the development of alternative film screening practice, from microcinemas to film festivals worldwide. As a tribute to this influential film society and its founder Amos Vogel (1921 – 2012), Film Love presents an entire screening originally shown at Cinema 16 in New York in May 1950. Though Cinema 16 debuted many important filmmakers, including Roman Polanski and John Cassavetes, perhaps its greatest innovation was the way Amos Vogel curated his programs of short films: powerful, intuitive juxtapositions of style, subject, genre and eras. 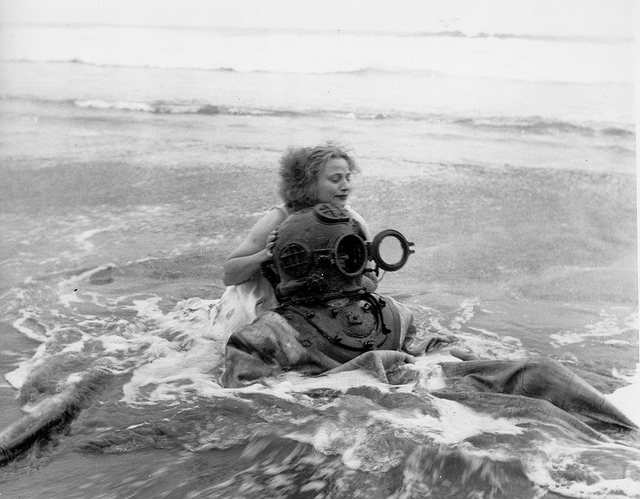 In the course of a single evening, avant-garde films would collide with scientific or psychological experiment films, political documentaries, and other unclassifiable works, forcing viewers to simultaneously confront unfamiliar cinematic techniques, unprecedented scientific imagery, and disturbing revelations about World War II or other recent events. The wild ruptures were deliberate, for Vogel explicitly saw cinema as a force for change. Informed by Vogel's radical politics and his experience as a Jewish refugee from wartime Vienna, Cinema 16 programs were designed, in the words of scholar Scott MacDonald, to trigger "maximum thought – and perhaps action – on the part of the audience." The popular success of this approach is still astonishing today: a typical Cinema 16 program screened to audiences of up to sixteen hundred people at a time. At Cinema 16, both words in the equation "film society" were of equal importance. Cinema 16's May 1950 screening is an outstanding example of Vogel’s programming range. Oskar Fischinger's masterfully animated and handpainted films screened next to John Huston's revelatory documentary of a World War II battle and its effect on an Italian village. Then, Sidney Peterson's aggressively Surrealist short The Lead Shoes led to the program’s final coup: Unconscious Motivation, a clinical psychology film in which two subjects are hypnotized and given a false memory while asleep, then try to process their experience. War, surrealism, abstraction, and untapped regions of the mind – this 1950 program, with its rich and complex juxtapositions, exemplifies both the challenges and potential liberations of alternative film. 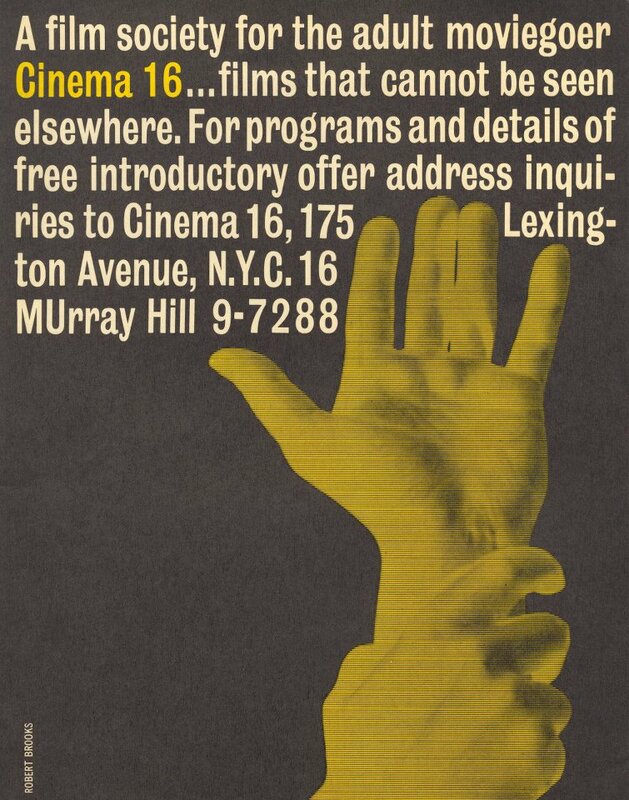 Cinema 16, May 1950 is a Film Love event, curated and hosted by Andy Ditzler for Frequent Small Meals. Through public screenings and events, Film Love preserves the communal viewing experience, provides space for the discussion of film as art, and explores alternative forms of moving image projection and viewing. Film Love was voted Best Film Series in Atlanta by the critics of Creative Loafing in 2006, and was featured in Atlanta Magazine's Best of Atlanta 2009.